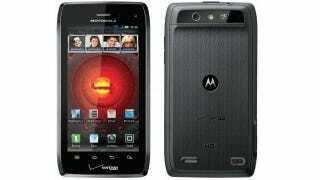 We've been expecting Motorola's Droid 4 for a while, but now official images and specs have leaked into the wild. And it looks a lot like a bigger version of the recent RAZR. In terms of specs, Droid Life report that we can expect: a 4-inch screen (though it's not clear if it's LCD or AMOLED), 1.2GHz dual-core processor, 1GB of RAM, a 5-row slide out keyboard, 4G LTE, and an 8MP camera. It's not setting the world on fire with innovation, sure, but it sounds like a powerful device, and it could be just the phone if you want Android and a decent physical keyboard.